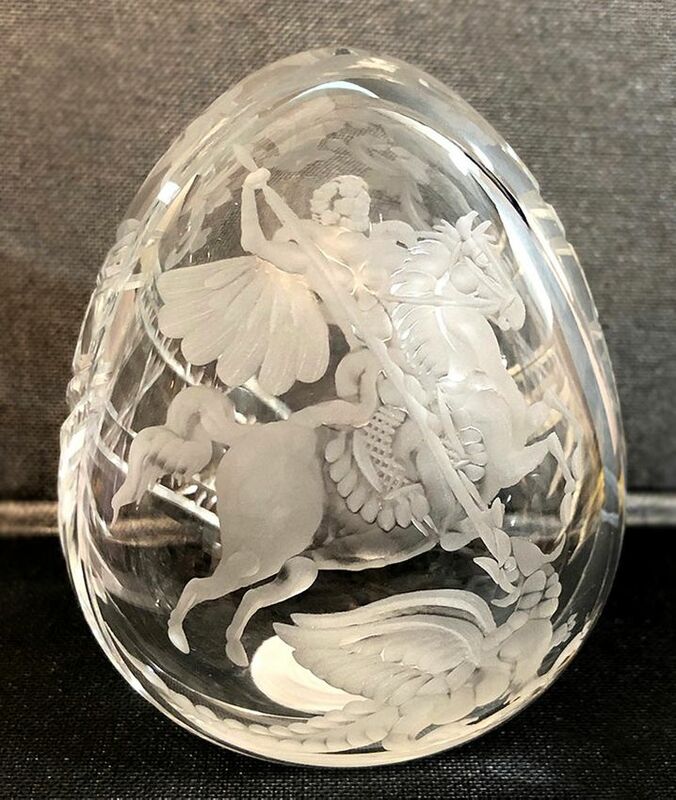 This crystal egg is made in Russia and etched in St Petersburg, Russia. St George, a favorite subject, was the patron saint of the Romanov family, Russian military and the city of Moscow. Size: 4 1/2" x 3 1/2".